Home / DC / Delhi / Delhi Capitals / Feroz Shah Kotla / IPL / IPL 12 / IPL 2019 / Match Prediction / SRH / Sunrisers Hyderabad / VIVO IPL 2019 Match 16 DC vs SRH Match Prediction, Probable Playing XI: Who Will Win? Probable Playing XI for DC: Shreyas Iyer (c), Prithvi Shaw, Shikhar Dhawan, Rishabh Pant (wk), Colin Ingram, Hanuma Vihari, Chris Morris, Axar Patel, Sandeep Lamichhane, Kagiso Rabada, Amit Mishra. Probable Playing XI for SRH: Kane Williamson (c), David Warner, Jonny Bairstow (w), Vijay Shankar, Manish Pandey, Yusuf Pathan, Rashid Khan, Mohammad Nabi, Bhuvneshwar Kumar, Sandeep Sharma, Siddarth Kaul. In this season, two match matches are played here at Feroz Shah Kotla; one ended in last over and other ended in a super over. Toss winning captain would like to bowl first as the expected dew should make batting easier in the second innings. 24 hours before the game, the pitch bore the usual barren look through previous IPL games have seen pitches with more grass; but a score above 180 will be good looking to the track record. 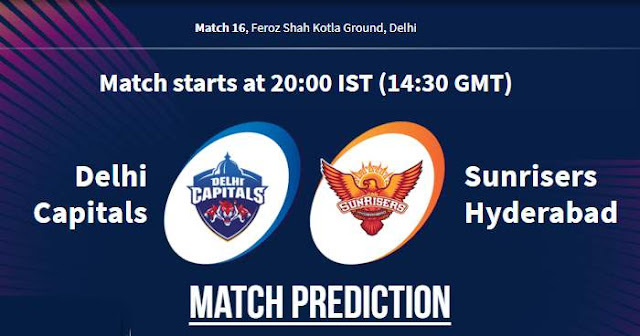 Our Prediction for IPL 2019 Match 16 DC vs SRH Who Will Win? Looking at the record, Delhi Capitals looks weak against the Sunrisers Hyderabad at Kotla. At Feroz Shah Kolta, Delhi; Delhi Capitals have won only 1 game against Sunrisers Hyderabad of 4 played. On the other hand, Surnisers have an upper hand on the Delhi Capitals at Kotla. But they also have some concern against DC and for way matches. Sunrisers Hyderabad have won only one of their last six matches outside Hyderabad. Also, SRH lead bowler has a poor record against DC; have taken only 5 wickets in 13 matches at an average 74.2 and economy 7.73. 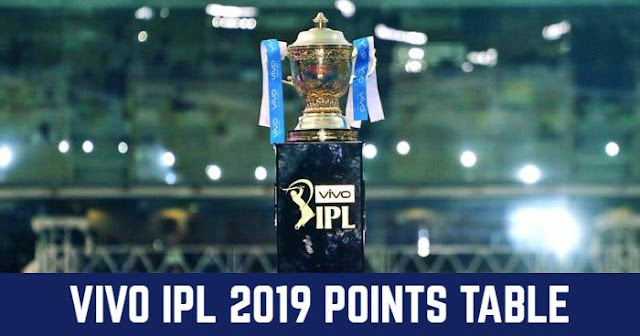 While this season SRH have some stats under their belt; Sunrisers Hyderabad are yet to lose a wicket in the first six overs in IPL 2019 as the earliest that Sunrisers Hyderabad have lost their first wicket this season is over number 9.4. Also, Sunrisers Hyderabad have a scoring rate of 10.38 this season and are the only team to have an overall scoring rate over ten runs this season.